When you are faced with a difficult legal issue involving family law, estate planning, personal injury, business interests, or Texas criminal law, having an experienced attorney on your side to staunchly protect your rights isn't an option-it's a necessity. MoreWhen you are faced with a difficult legal issue involving family law, estate planning, personal injury, business interests, or Texas criminal law, having an experienced attorney on your side to staunchly protect your rights isn't an option-it's a necessity. The Temple, Texas law firm of Prater & Ridley has been meeting those needs and providing high quality representation and aggressive advocacy on behalf of families and individuals in the Central Texas region since 1993. Both of our founding attorneys graduated from the Baylor University School of Law over 30 years ago and are highly familiar with the communities we serve. Today, their decades of work in the Central Texas legal community and the excellent working relationships they have established are great assets to both our firm, and our clients. Co-founding attorney Carol Prater, is a Board Certified Family Lawyer in the state of Texas and practices exclusively in the area of family law. Known as a skilled litigator and an unyielding presence on behalf of her clients' interests, attorney Prater is second to none in providing effective family law representation. Highly regarded and respected among his peers in the Central Texas region, our other co-founding attorney, Patrick J. Ridley, served for over a decade in elected office as County Attorney for Bell County. His unique background and perspective on Texas law benefit his current practice in family law, criminal law, probate, and civil litigation tremendously. Together, they complement each others' style very well and bring a difficult challenge to any opposing counsel. 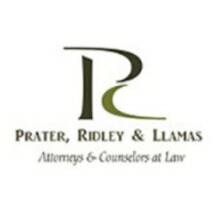 The law firm of Prater & Ridley is as dedicated as ever to maintaining high ethical standards and excellent client service. Because of that, we keep our client's goals in mind at all times and keep them as informed as promptly as we can on the status of their case and any new developments. And to keep services affordable, we utilize state-of-the-art technology and the most efficient methods of practice. Whether you have questions about probate, trusts, wills, and estates, or you need a lawyer who understands and has experience with the laws regarding military divorce, contact the law firm of Prater & Ridley in Temple, Texas today.